One of our most important rights —the right to a fair trial— rests on the shoulders of judges and hearing officers. They conduct pretrial hearings, resolve administrative disputes, facilitate negotiations between opposing parties, and issue legal decisions. Judges hear cases that range from traffic offenses to the rights of large corporations. Before a trial, they often review documents, research legal issues, and listen to arguments to determine if a trial is warranted. 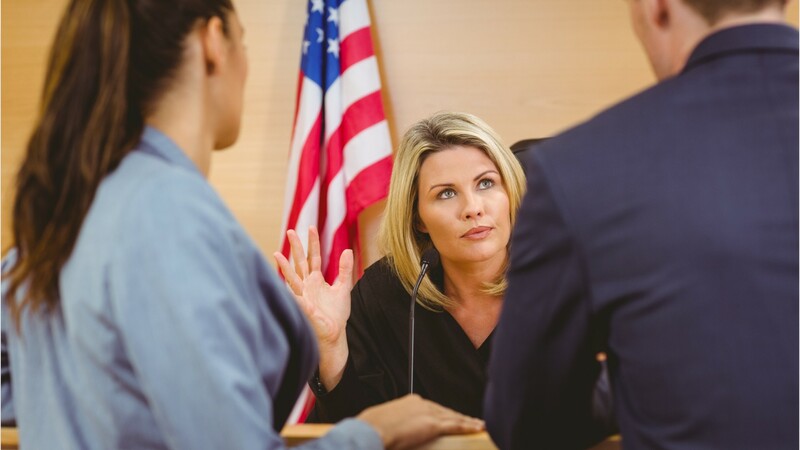 Depending on the case, judges either instruct jurors on the law and guide them in considering evidence, or decide the case directly, determining whether a sentence or penalty is justified. Critically, they ensure fair proceedings so that the legal rights of all involved parties are protected. Administrative law judges, adjudicators, and hearing officers operate outside the courts— they work for government agencies, on issues such as determining eligibility for workers’ compensation benefits or verifying a case of employment discrimination. Judges and hearing officers work for state, local, and federal governments. Hours are full time, sometimes with evening and weekend hours, and on-call duty for emergencies. Although a few positions require only a bachelor’s degree… a law degree, license, and years of work experience as a lawyer are typically required for judges or hearing officers. Some positions are elected… others are appointed… for terms lasting from 4 years to life. Judges, Magistrate Judges, & Magistrates by U.S. Department of Labor, Employment and Training Administration is licensed under a Creative Commons Attribution 4.0 International License.